Mike Boynton is building toward something special, but it’s not going to happen overnight. 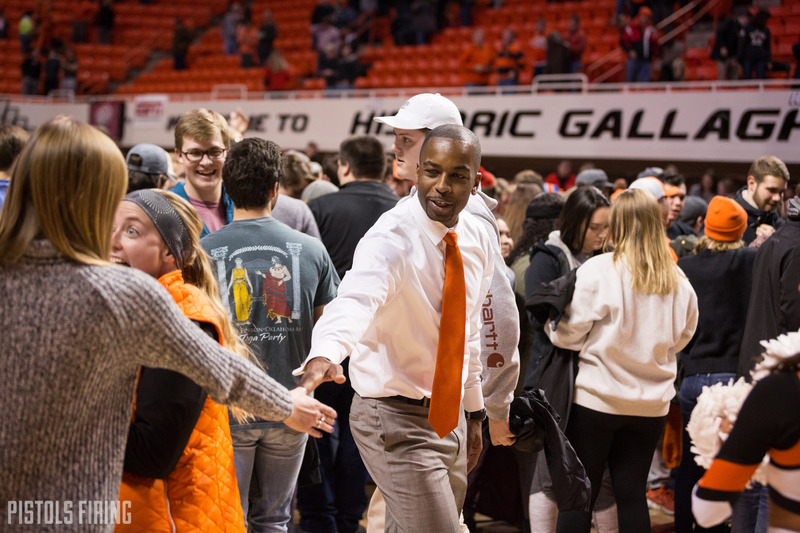 STILLWATER — There is no denying Mike Boynton is rebuilding something special in Gallagher-Iba Arena. With the good, young talent the Cowboys boast this season paired with the 11th-ranked 2019 recruiting class in the country, OSU is on the verge of becoming a contender in the Big 12. This season, though, is filled with questions. OSU has six freshmen on its 2018-19 squad and are missing four of their five top scorers in terms of averages from last season. The Cowboys open their season Saturday on the road against Charlotte, a team that won only six games last season but has since hired coach Ron Sanchez away from Virginia. Eight of OSU’s potential nonconference opponents won at least 20 games last season, eight finished in the Top 100 of the RPI (RIP) and nine teams played in the post season. The Cowboys will play Charleston, a team that won the Colonial Athletic Association last season and has nine upperclassmen. The Pokes will play Houston, a team that won 27 games in 2017-18. To top that off, OSU is in a tournament that includes defending NCAA champion and ninth-ranked Villanova, No. 17 Florida State, No. 23 LSU, and Memphis. On top of the tough nonconference, the young Cowboys have the always difficult Big 12 schedule. Four Big 12 teams made the preseason AP Poll, and Texas Tech and Texas each received votes in the poll despite being left out of the Top 25. The Cowboys’ first Big 12 game is Jan. 2 against Iowa State. Boynton said he doesn’t expect to play perfect basketball when the ball is thrown up Saturday in Charlotte, but he hopes to be much better Jan. 2 than the team will play in November. “Our hope is to play our best basketball at the turn of the calendar and we start playing Big 12 games,” Boynton said. Last season, OSU made a big deal about laying the foundation. This season the Cowboys will lay some nice new bricks, but the steeple atop the building might have to wait little bit.